Italian mafia killing in Slovakia - What Visegrad Group doing to deal with mafia ? Is there any common Visegrad`s respond to mafia? Jan Kuciak was killed just before publishing a report about ties between politicians and organized crime, a fellow reporter said. 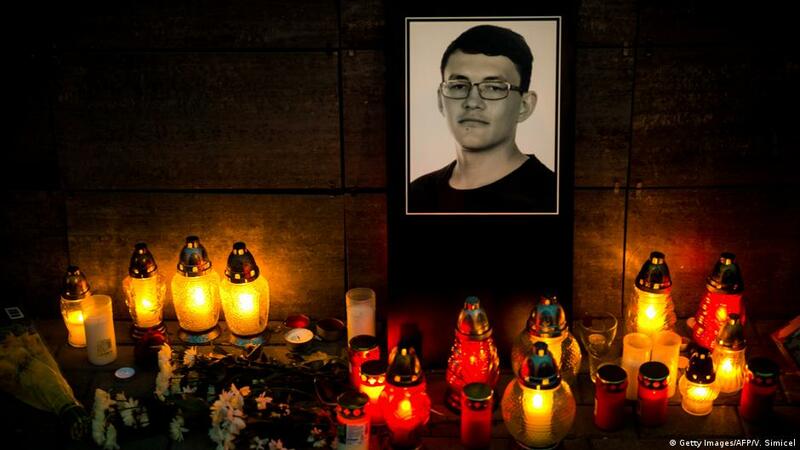 Kuciak is the second anti-corruption journalist murdered in the EU in the past six months. Rumour has it that secrtet deals between different individuals and the ruling party in Slovakia are not that uncommon. It takes two to tango, Crow. But where is Visegrad in it? Any prepared plans for dealing with mafia? Looks like you misunderstand Visegrad. When Slovakia was newly independent it caused a real problem. Transnational security agencies had to stop inviting them to cooperation meetings; their public servants were quite simply too untrustworthy and would sell any confidential information they had to the highest bidder. I would rather tell, I don`t know or I don`t have information. But, what I know Visegrad deal with security of countries members. So, I wanted to learn does Visegrad have some plans in case of mafia threat. their public servants were quite simply too untrustworthy and would sell any confidential information they had to the highest bidder. Please, don`t be naive. Highest bidder for country that is NATO/EU member is USA/Germany, even no matter public opinion. Nothings happens outside of this pattern if tend to be survivable. More likely Russia, the enemy to the east, rather than either NATO or our EU, the friends to the west. Let me try to follow your analogy. Do you now suggests that journalist worked for Russia and that he died because of that? Slovakia's Interior Minister said the FBI and Britain's Scotland Yard and other foreign agencies are helping Slovak authorities investigate the killings of Kuciak and his girlfriend Martina Kusnirova at their home on Sunday.